Of all the things in the world that (currently) make me happy, the two things I love most? Crochet and cooking. Happiness, by hook or by cook. I say ‘currently’ because either activity hasn’t always inspired joy. I was introduced to crochet when I was a child. My cousin showed me how to hold the hook, how to twirl the thread around my fingers; how to hook the plain thread in and out to transform it into a length of perfect chain links. Then more magic moves made loops and circles, diamonds and pineapples, the possibilities were endless… until I lost interest. Cooking was something I was protected from till my early teens. My mother shielded me from most forms of housework despite the frowns and tut-tutting of her six sisters. She’ll have to do that stuff for the rest of her life, she’d tell them calmly, so she might as well enjoy herself now. I was never destined to be a Junior Masterchef contender, but that was fine by me – I grew up without television, anyway. I’m lucky to have been blessed with a mother who is a whizz in the kitchen; while I may not have been cooking as a youngster, watching her cook meant I was definitely not afraid of it. She began teaching me to cook in my early teens. We started gently with milky stove-top chai, then progressed to her charging me with regular cooking tasks, like making the rotis for the family’s breakfast and lunch every weekday morning. Once I started, I loved being in the kitchen – especially since mum’s minimal-housework rules meant I didn’t have to do the cleaning up most of the time. My love of cooking has endured over the years, waxing and waning like the moon – always there, but sometimes burning more brightly and brilliantly than others. I have a dishwasher in my kitchen now. It eases the pain. Crochet, on the other hand, was buried under layers and layers of life until quite recently. Those lessons provided by my cousin lay dormant within me like a late-flowering, long-forgotten bulb. They’ve been slowly pushing up toward the sun since then, the first green tips just now breaking the soil, making me curious to see what blossom will follow. They are all different, and they are bright and gorgeous, and they just keep on coming. 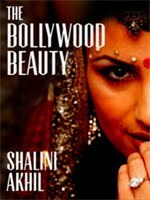 I love reading you speak Shalini!!! Keep wm coming. I came across these images and had to share.